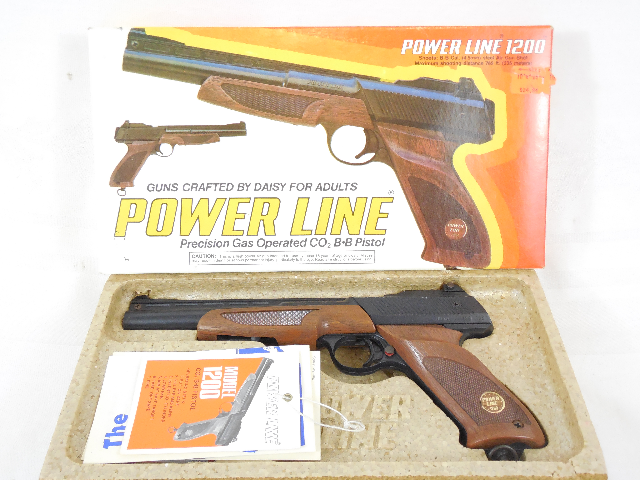 The Daisy 1200 air pistol is a BB caliber, C02, 60 shot repeater mad from 1977 to 1989. 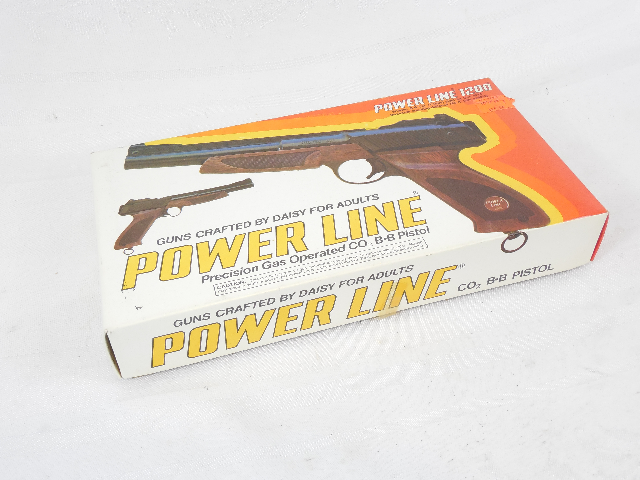 This particular gun is in mint condition in the original box. It still has the original paperwork and hang tags in the box. 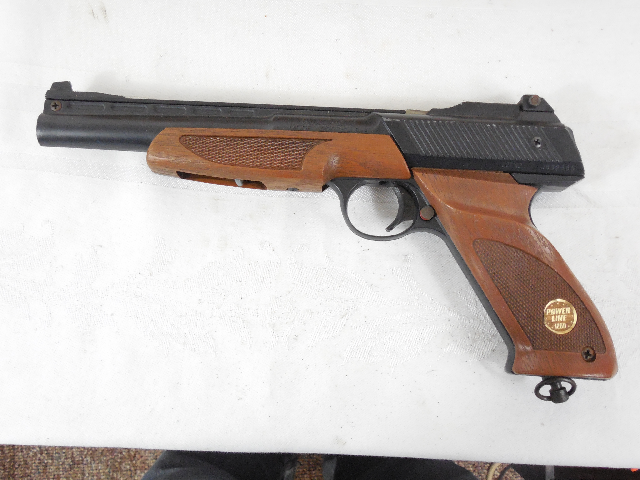 The gun holds air and fires around 400 fps. 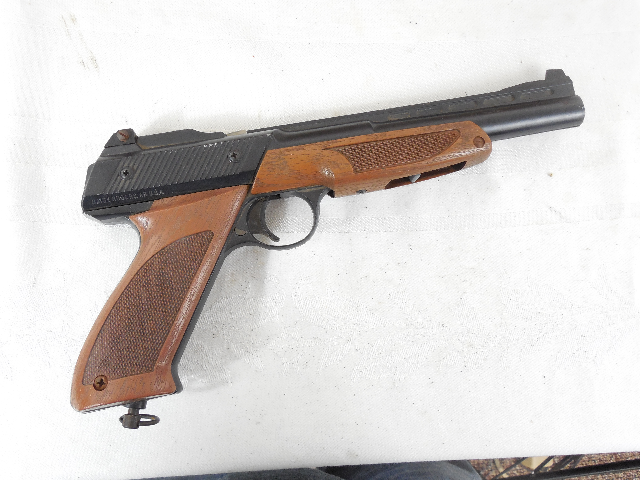 This is a very nice Daisy for shooting or collecting.